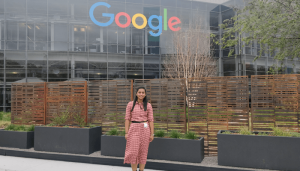 21-year-old Sreeja Kamishetty’s self-confessed “passion for all things Google” has led to her keenly following all opportunity updates from the multinational tech giant, be it scholarships, resources or internships. 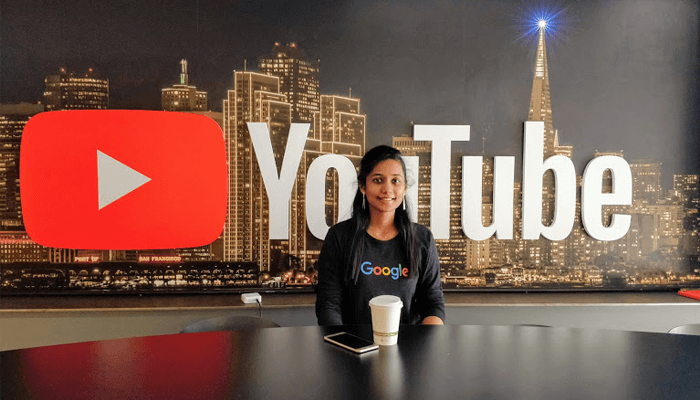 The last time she was featured here was when she was selected as the only Indian to attend the EMEA Google Students Retreat 2018. 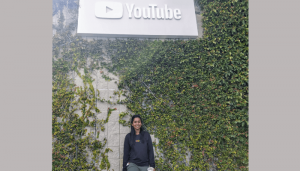 This time, as the recipient of the Venkat Panchapakesan Memorial Scholarship, Sreeja has not only received an award of 750 USD towards tuition and education-related expenses, but she was also invited to visit the YouTube headquarters in San Bruno, California, USA. We caught up with her to know more about the scholarship and the retreat. Instituted by Google in the memory of a much-loved employee of Indian origin, Venkat Panchapakesan whose life was tragically cut short due to cancer, this scholarship seeks to reward Indian university students aspiring to be “computer scientists and technology leaders”. “Venkat was the Head of Engineering at Youtube. When he passed away, Youtube CEO Susan Wojcicki wanted to start a scholarship in his memory. Since Venkat was an Indian, they started this scholarship to reward 6 Indian computer science students who are passionate about the subject, “ explains Sreeja. Apart from leadership skills, the scholarship specifically looks to honour students who have overcome adversity, while leveraging tech to assist those around them too to excel in computer science and technology. The scholarship also provides an opportunity to selected students to submit a proposal, which when selected involves disbursal of a grant of up to 225 USD to spend on spreading computer science awareness in the local community. “While I’m going to use the scholarship award to offset all my research-related expenses, I’m currently in the process of formulating a proposal for receiving the grant,” says Sreeja. The application process involves submitting two essays and two letters of recommendation. In addition to this, students are asked to submit a one-minute YouTube video on why they would like to receive the scholarship. One of the essays dealt with the question of how one plans on using computer science to make the world a sustainable place. Sreeja’s area of research is AI in the field of transportation. She wrote about her current work that deals with tackling urban pollution by developing new algorithms towards intelligent transportation. “Technology has the power to make life easier, I plan to be part of a company which strives for this,” says Sreeja. To the question on how she will use the scholarship to advance her passion and the goals of the scholarship itself, she wrote about organising local meetups in order to spread awareness on making the world a sustainable place through the use of computer science. The second essay required aspirants to pen down adversities (if any) that they faced, while listing out steps taken to overcome them. “Being in a tech-driven world where my gender is in a minority, it was never easy. My batch has 15:85 ratio of girls to boys. It is very hard to find help when I am stuck. Even while looking at the current leaders and CEOs in tech, there are not too many women leading big companies”, wrote Sreeja in her essay. Just when she was beginning to get disillusioned and lose confidence in aiming high, she began to watch motivational talks from inspiring women leaders in tech. “It only motivated me and I in turn started conducting workshops and talks to bring awareness and confidence among women in our community,” says Sreeja. 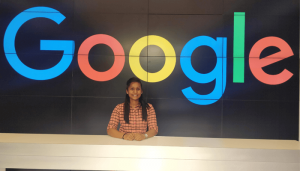 From attending different conferences, and meetups like LEANIN, GDG Hyderabad, Swecha, PyConf and giving talks to inspire more women, Sreeja has made an attempt to assist others who may face adversities and be at a disadvantage themselves. 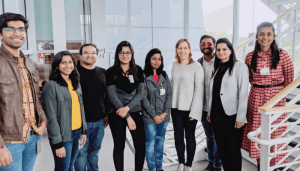 For Sreeja, the 3-day retreat at San Bruno, California served as a great opportunity to learn and interact with tech leaders and other developers at Google. There was a special session by Sandhya, Venkat Panchapakesan’s wife who spoke about his values, and how he influenced people. The highlight of the retreat was a 30-minute interactive session with YouTube CEO Susan Wojcicki where Sreeja got a chance to pose some questions to her. “I asked how she manages the company responsibilities alongside those of her family, and she responded that one must focus 100% whenever doing something. This had made her own responsibilities easier”, states Sreeja. She also asked Susan as to how she defined success. “For her success is something which can create an impact on the world. Way back in 1999 when she joined Google which was then a small company, what drove her was seeing how the product would create an impact rather than the compensation, perks, and so on. This answer truly inspired me,” says an awe-struck Sreeja. Like most others whose internet activity revolves around Google, Sreeja too learned a lot via its search engine. “But apart from Search, I like using other Google products too like Chrome, Maps, Photos, Docs and so on”, she says. As a multinational tech giant creating a wide array of products and services that billions of people use the world over, Google also encourages students through scholarships, resources, and internships. Little wonder then that Google has always been Sreeja’s ‘dream’ company. And the dream will turn into reality this Summer when she joins as software engineer in the Chrome team. “I hope that everyday I will wake up to do great things impacting the world and it will bring out the best in me”, she beams.